MANILA, Philippines - The 220-meter pedestrian link bridge known as Runway Manila, a PHP1.5 billion project that directly connects Ninoy Aquino International Airport (NAIA) Terminal 3 (T3) with Newport City in Pasay City has been officially opened to the public on Tuesday evening. The construction of Runway Manila, a pedestrian bridge directly connecting Ninoy Aquino International Airport (NAIA) Terminal 3 (T3) with Newport City is now complete. Runway Manila was designed by Filipino architects Juan Seriña Jr. and Raymond Hernandez and can accommodate up to 2,000 persons at any time. It is the country’s first pedestrian bridge with moving walkways that allows the average person to walk the distance between the airport and Newport City in just a few minutes. The undertaking is a partnership between the Department of Public Works and Highways (DPWH) and Department of Transportation (DOTr) and the Alliance Global Group, Inc. According to DPWH Secretary Mark Villar, the project only proves that with political will and partnership with the private sector, such undertaking is possible. “Runway Manila the first pedestrian footbridge going from Newport city to NAIA Terminal 3. This is an air-conditioned footbridge with walkalators and this was begun during December and was finished in April and I think this serve as a great example of what can be done when you combine political will and the private sector when there is cooperation between the two you can complete this infrastructure project at a fast pace,” he said. The NAIA T3 has the capacity to handle 13 million international passengers annually. 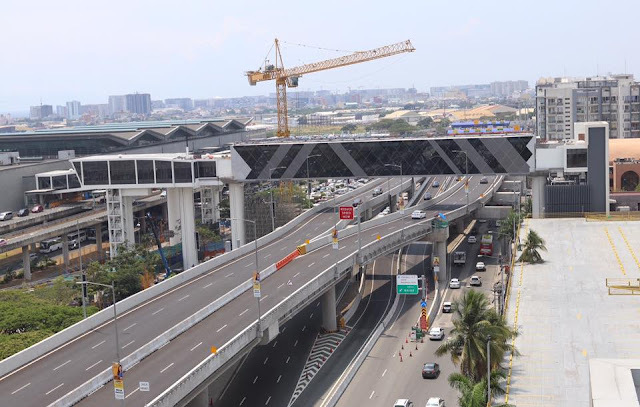 The pedestrian bridge is expected to further ease traffic congestion in the airport and is for the benefit and free use of the public, particularly tourists, who may want secure and convenient alternatives to reach various parts of the metropolis. Runway Manila is financed by Alliance Global Group, Inc. (AGI), one of the Philippines’ largest conglomerates, with strong interests in the tourism and gaming sector, food and beverage industry, real estate development and quick service restaurants. 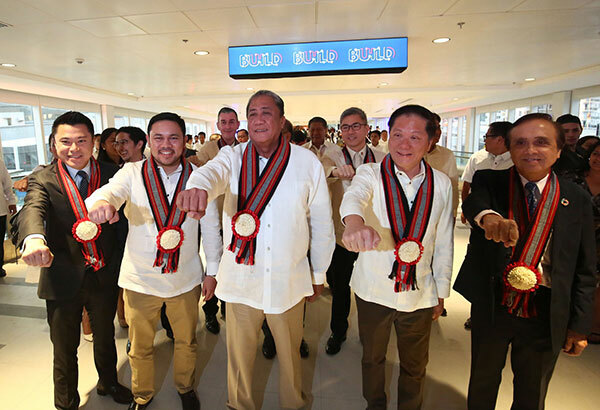 “This first of its kind pedestrian bridge is our gift to the Filipino people and increasing number of tourists who come to visit our beautiful country,” said AGI President Kingson Sian in a statement. “This project was done so swiftly, and it has the highest economic return for government. The economic return for the government from this project is infinite because it did not cost us anything,” stated Sec. Villar. “It is a symbol of what can be possible if the government and the private sector are working hand in hand,” he added. Fresh out of unveiling President Duterte’s Build Build Build program, which combines the efforts of the National Economic Development Authority, Bases Conversion and Development Authority, with the public works, finance, budget management, and transportation departments, in expediting priority infrastructure projects that would benefit urban and rural mobility, economic returns, and tourism potentials, Runway Manila represents the first successful build out of the administration’s revitalized construction blueprint. With plenty of other infrastructure projects on the horizon that would need the financial aid and developmental expertise of the private sector, AGI refuses to stop with its 1.5-billion-peso expense. “We are definitely looking at a lot of (government) projects right now, especially those that have a lot of benefits for our core businesses, which are tourism, real estate, and township development,” revealed AGI’s executive director Kevin Tan. Now that new airport terminals, railway projects, and expressways are drafted well across the country, perhaps what Runway Manila concretely exemplifies, other than its capacity to empower and enhance the lives of people, is that proper investment done in the name of national development is always good for business. “We hope to be able to really contribute to the growth of our economy. We hope that we can build more projects like this that puts into mind the benefits of the general public,” enthused Kevin Tan. 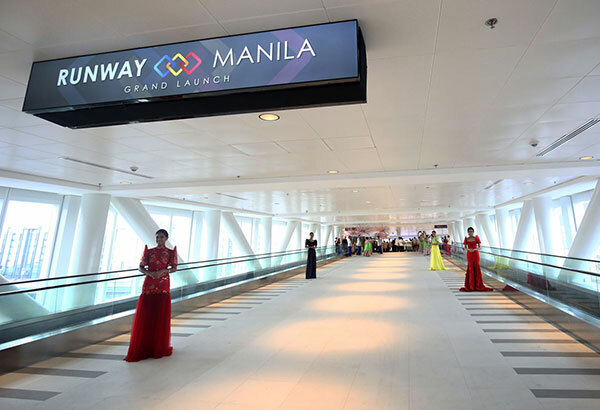 The Runway Manila is officially opened to the public, free of charge, connecting the Newport Boulevard with the second level of NAIA Terminal 3.